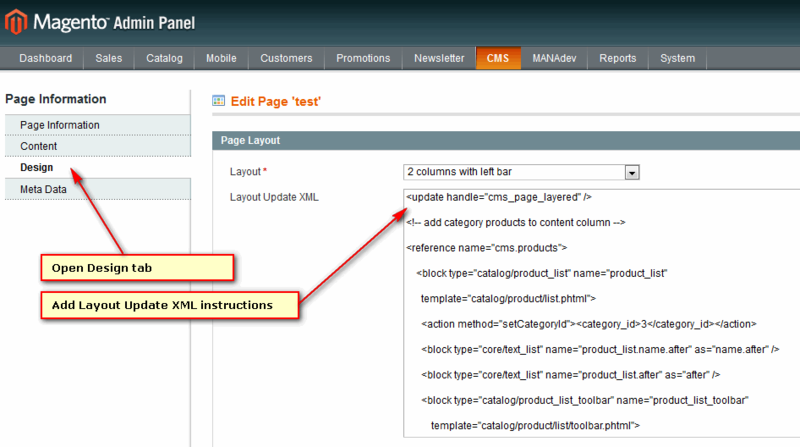 In Magento Admin Panel go to menu CMS -> Pages, find your page and open it for editing. Also insert ID of desired category in <category_id>3</category_id> (two times). Open desired category of your store through Catalog->Manage Categories. Make sure that Is Anchor=Yes on Display Settings tab.